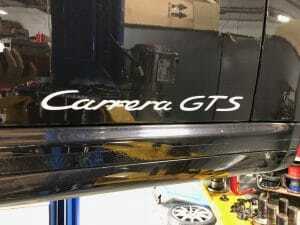 The stock 997 and 996 Carrera’s are great track cars straight out of the box. Unfortunately one of the first things someone will notice as they begin to take these to track days is some pretty heavy outside front tire wear. This happens due to a lack of negative camber in the front. The stock car is set up for fairly even tire wear during street driving and this is about -0.5 degrees of front camber. The rear typically will have a big more camber at about -1.5 to -1.7 degrees and this can work pretty well for both street and light track use. Customers will often come to us for alignments for the track asking us to increase their camber all around to about -2.0 in the rear and -2.5 in the front. While this setup would work well, it simply isn’t possible to achieve that amount of negative camber in the front of these cars. The front strut mounts are slotted so it is possible to gain about 0.5 degrees of negative camber and get a stock car to about -1.0 degrees of camber but this isn’t much help. 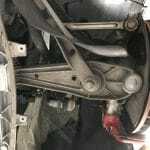 Fortunately the rear of the 996 and 997 has plenty of rear camber adjustment from the factory so it is possible to get all the camber we desire in the back. To deal with the lack of camber in the front we have two common solutions. 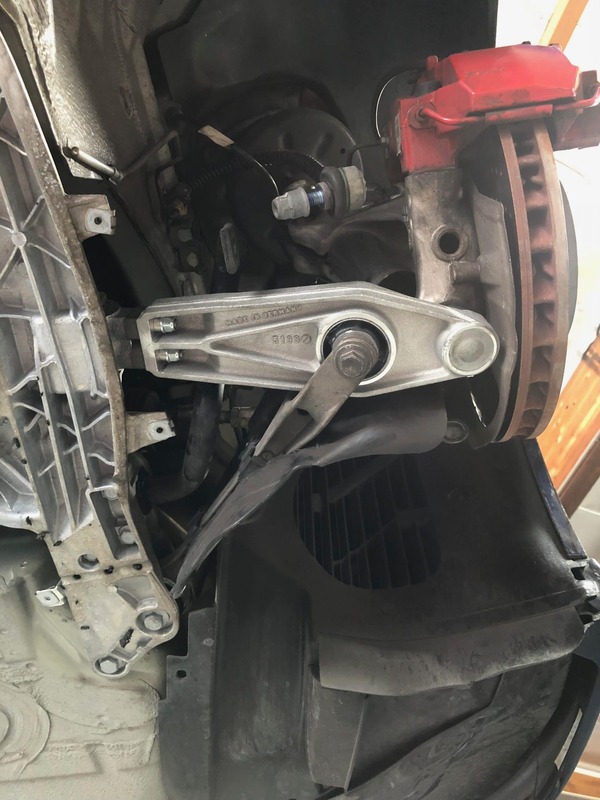 The first is an aftermarket top mount camber plate from companies like Tarett Engineering. This is the most economical way to gain the camber we want in the front. One complaint we’ve had with these camber plates is the extra noise that transmits from the bearing in these plates. For those who still like to drive their cars on the street the noise can be undesirable. To address that complaint we highly encourage our customers to consider replacing their lower control arms with those from the GT3. 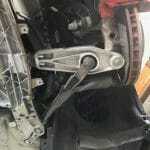 The GT3 control arm can be adjusted in length with shims. This will end up widening the front track width of the car but also increase the amount of negative camber available. 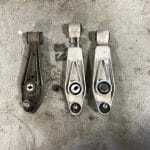 While it is a little more difficult to adjust front camber using these shims, we like using a factory style solution. 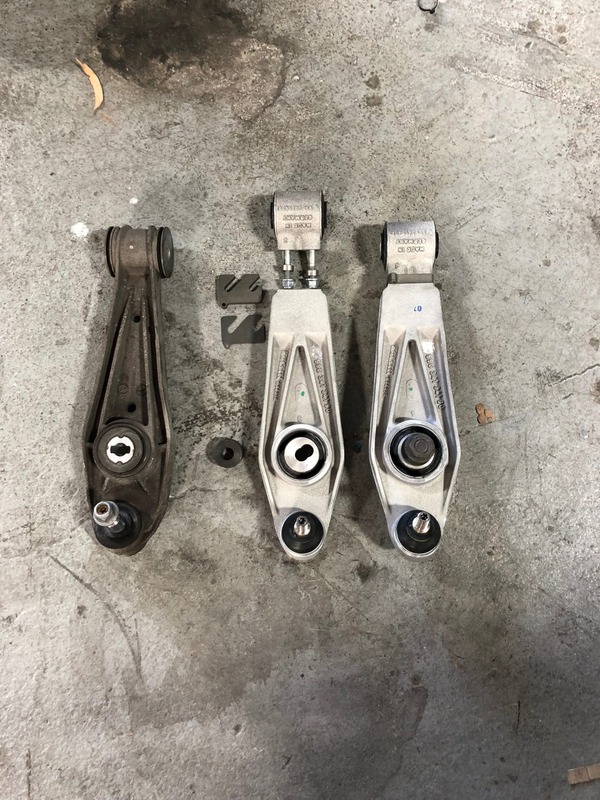 These control arms can be purchased with either factory rubber mounts or with aftermarket bearings which gives us the option to have a quiet suspension, or a more race oriented setup. 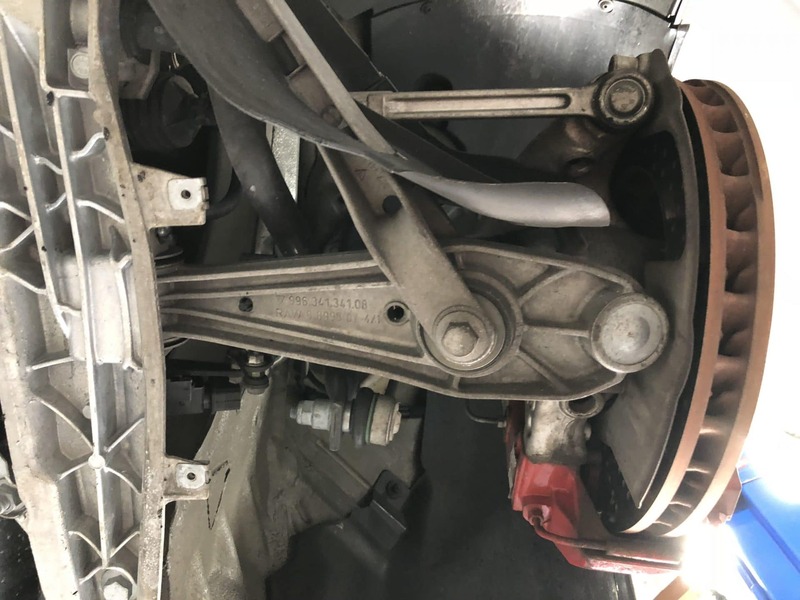 Many of our track day customers want to retain the daily comforts of the stock suspension so for those customers we find the GT3 lower control arms with factory rubber mounts and bushings to be a great solution that still solves the front tire wear problem.